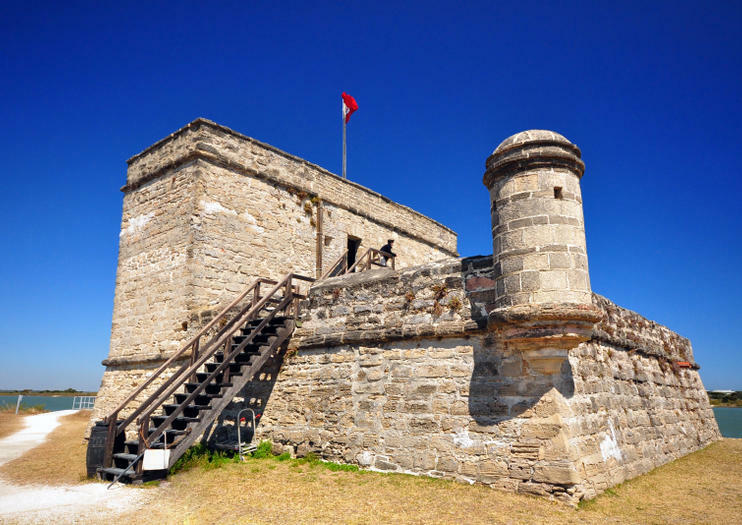 Fort Matanzas was built in the mid-1700s to protect the Spanish colony of St Augustine. St Augustine was vulnerable by river access to the south and Fort Matanzas helped the French protect it from the threat of British attacks. At the time, Florida was a much sought after area of the world due to being a profitable shipping lane from the Caribbean. The fort successfully protected St Augustine on multiple occasions and eventually became property of the United States. In 1924, it was declared a national monument. The construction of Fort Matanzas is interesting to behold as it’s made from coquina, a type of limestone that is made of tiny pieces of shells and sand – a likely choice considering the geography of where Fort Matanzas was constructed, but one that can also be quite fragile. Despite that, it has upheld and today visitors can take a ferry to the fort, which is located on Rattlesnake Island and tour the grounds. The ferry has a guide who will tell you about the history of the fort on your way over. Once at the fort, be sure to climb the ladder to the observation level for excellent views of St Augustine and the ocean. The ferry requires a boarding pass, which you can pick up in the visitor center of Fort Matanzas, located at 8635 A1A South Street in St Augustine. Boarding passes are handed out on a first come, first serve basis so arrive early for the time you want to avoid being disappointed. Ferries leave every hour on the half hour mark. The ferry ride and touring Fort Matanzas are both free. The fort is open daily from 9 a.m. to 5:30 p.m. Hours: Daily 9 a.m. to 5:30 p.m.